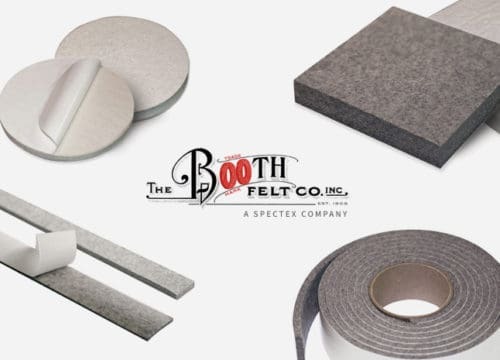 A Felt Primer: The Basics of Felt - Booth Felt Co Inc.
It’s time to talk about felt. Or as we like to say here at Booth Felt, flexible, fuzzy, fantastic felt! Depending on your occupation, you might be intimately familiar with the material and all of its unique properties or you may think of felt only as the stuff you used to make shoebox dioramas in elementary school. Let us share some key details about our favorite material that make it one of the coolest, most durable products available today. This one term, felt, is used to describe several different types of textiles (e.g., wool felt, acrylic felt, industrial felts, other synthetic felts, pressed felt, needled felt), which may vary in width, length, color, or thickness depending on the intended application. Traditionally, felt was made from natural raw materials and fibers, the most common of which was wool. While wool remains a staple of felt production, today’s synthetic fibers, like polyester, acrylic, rayon, aramid, and carbon, also yield felt fabrics that are exceptionally durable, flexible, and resilient. Many felt makers incorporate a blend of synthetic fibers with natural wool fibers to create a product with characteristics that are especially useful to a specific industry or purpose. For manufacturers and designers looking for eco-friendly materials, felt is an excellent choice. It can be made to be entirely natural, organic, and recyclable, and thus safely disposed of in a landfill. Producing felts of all varieties is a highly specialized task that requires unique equipment and processes that have evolved over thousands of years into the modern art of felt making. Making wool felt is an especially extensive process. So where does the wool used to produce today’s felt come from? If you’re contemplating the fact that there are substantially fewer sheep in our world than back in the days when felt originated, you would be correct. (In fact, the number of sheep in the U.S. has dropped by half in recent decades.) But even scarcer than sheep farms are the mills where the magic wool-to-felt conversion takes place. Only a very limited number of wool felt mills exist today, and many of them are still utilizing the same equipment and methods that were used a hundred years ago. Felt suppliers, like Booth Felt, cherish their relationships with their chosen felt mill for this very reason. The actual process of creating felt involves various stages of blending the fibers, matting the material, condensing or shrinking, and pressing, through the application of heat, moisture, and plenty of pressure. The exact method varies based on the type of felt being produced. Wool felts traditionally go through a process called wet felting, which involves friction and water and causes the natural animal hairs to bond together. 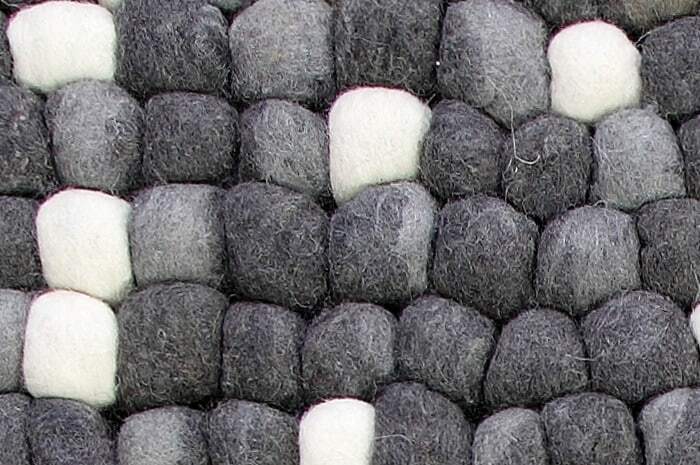 Industrial felt production can involve some chemical application or the use of barbed needles, which push and pull fibers against each other until they bind. In all cases, the resulting fabric is dense (though often breathable), and the fibers are permanently interlocked—even though they are never actually woven together. In fact, synthetic, performance felts are so strong and durable, they are used in some pretty incredible industrial applications. Think: the isolator pads on the exterior of the space shuttle, bulletproof vests, chain saw chaps, aircraft fire-blocking layers to meet FAA requirements, weld spark protection blankets and filtration fabrics. Please check back to our blog frequently for upcoming posts on the history of felt, the different types of felt, the many wonderful properties and uses of felt, and more. You can also subscribe to the Booth Felt newsletter for more exciting felt facts and special promotions.